Thomas Benedict Clarke was successful as a banker and businessman, amassing a modest fortune by the last decades of the 19th Century. But his first love was art. 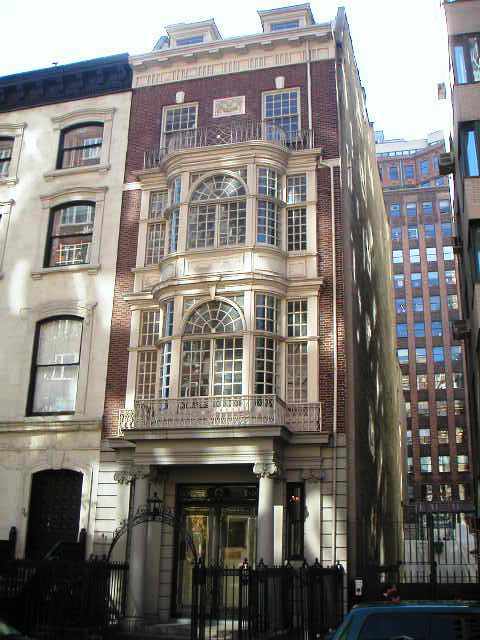 In 1892 he left the business world to open the “Art House” on 34th Street just east of Fifth Avenue. From here he sold antique English furniture, Asian porcelains and Continental antiques to New York’s elite carriage trade. In the meantime he was assembling his own remarkable art collection. While millionaires were filling their Fifth Avenue mansions with European masters, Clarke focused on American paintings – the first major collector to do so. In addition to early American portraits he sought out the works of contemporary late 19th Century artists such as the Hudson River school painters. As Clarke’s high-quality accumulation of art, antique furniture and other valuable objects d’art grew, he needed a larger home in which to display the collection. In 1901 he purchased a brownstone rowhouse at 22 East 35th Street in the fashionable Murray Hill section and called upon his close friend Stanford White to design a new home for the site. White’s firm, McKim, Mead & White was at the time the foremost architectural firm in the country. Rather than raze the old building as Clarke intended, White preferred instead to alter it. Performing what we would call today a “gut renovation,” the architect stripped off the façade, extended the rear portion, removed the interior walls and added a story – leaving only the side structural walls and the floors. When he was done, he had provided Clarke with one of the most impressive and visually memorable homes in the city. Completed in 1902 it was a five-story neo-Georgian showplace of red and grey Flemish bond brick. The entranceway was at street level, flanked by two ionic pillars and supporting a small balcony. Above the entrance an expansive, multi-paned bow window rose two stories, topped by a balcony with Georgian-style wrought iron railings. While it’s proportions were overshadowed by the massive chateaux rising on upper Fifth Avenue, its elegance and light airiness was unparalleled anywhere in the city. The house was offered for sale by Clarke’s estate in 1938 and was purchased by The Collectors Club of New York through the generous efforts of a member, Alfred Lichtenstein. The club had been formed in 1896 by a group of gentlemen whose hobby and interests were stamp collecting. While in its early days the club fell closely in line with other social men’s clubs, it soon distinguished itself. The invitation to join described the club as a means to “gather... all the societies, all the auctions and all the philatelic interests of the city"
Endorsing its objective to “promote the hobby of philately and to provide a social, educational, and non-commercial setting for those interested in the subject,” it quickly became the one of the most esteemed such clubs in the country – later including among its honorary members Franklin D. Roosevelt and the 26th Earl of Crawford. The club called upon architect and member Clarence Brazer to reconfigure the exteriors to better suit its uses. 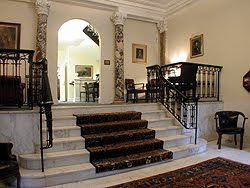 Brazer was both cautious and sympathetic in altering Stanford White’s designs, making a special point to preserve the interior staircase and stair hall. Today the outward appearance of the Thomas Clarke house is unchanged and its interiors are sensitive to the originals. 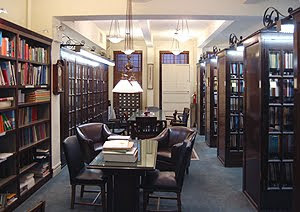 The club’s enormous philatelic library -- one of the world's largest and most comprehensive --includes more than 150,000 volumes for the free use of interested public.